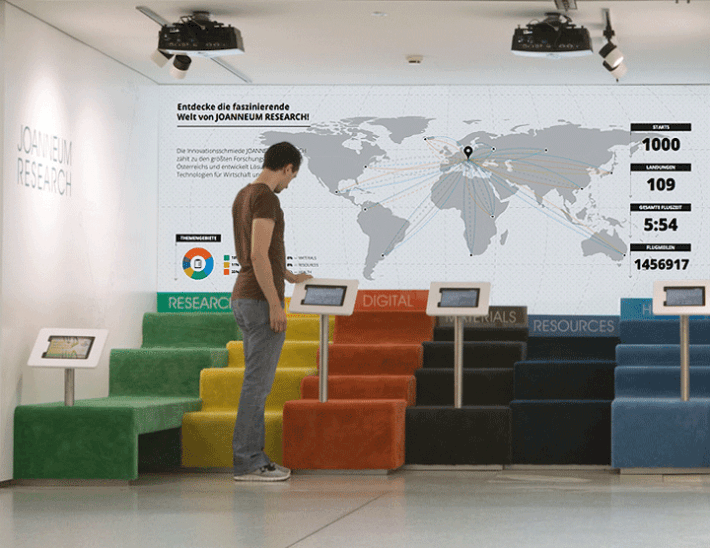 Client Project for Joanneum Research in Corporation with EN GARDE Interdisciplinary, 2012. 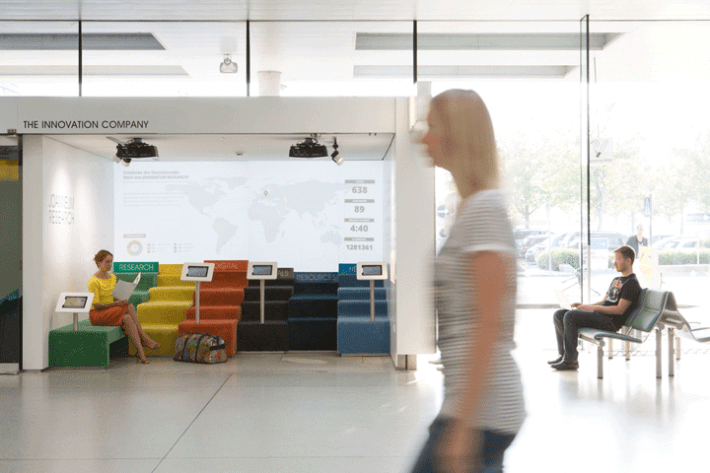 Joanneum Research is a application-oriented research company from Graz, Austria. 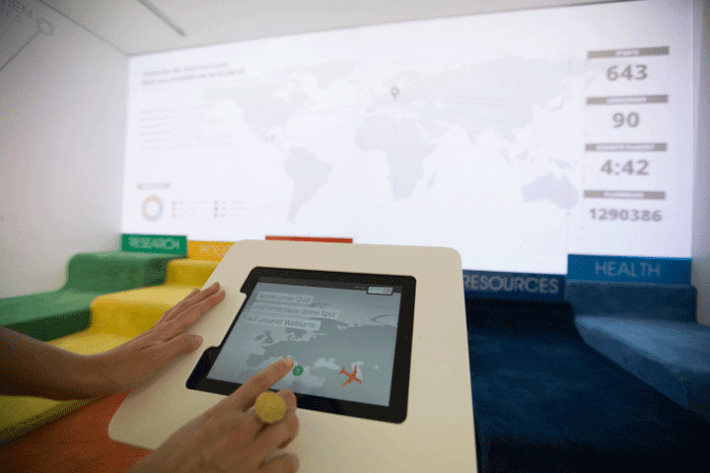 To inform the general public about their work and cutting-edge research projects, the company decided to setup a booth with an interactive installation at the airport in Graz. The installation consists of several iPads and a large projection. 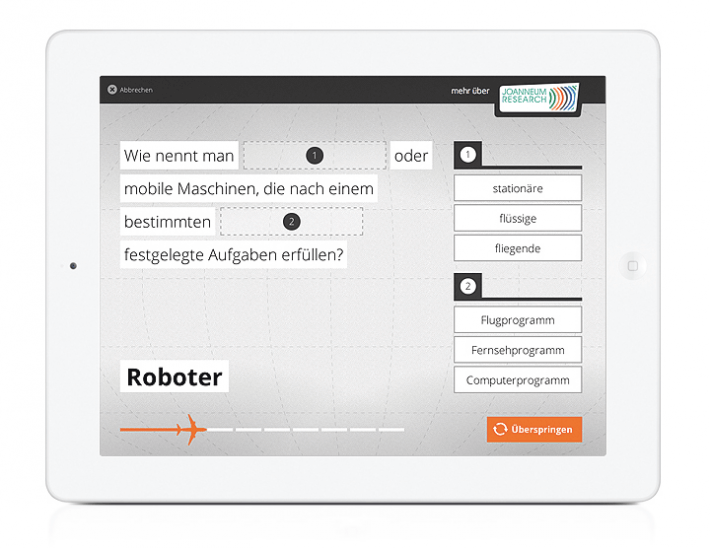 Travellers can play a quiz with questions related to the company and its areas of research. By doing so, the users engage with otherwise stodgy topics, in a playful and fun manner, while passing their waiting time at the airport. 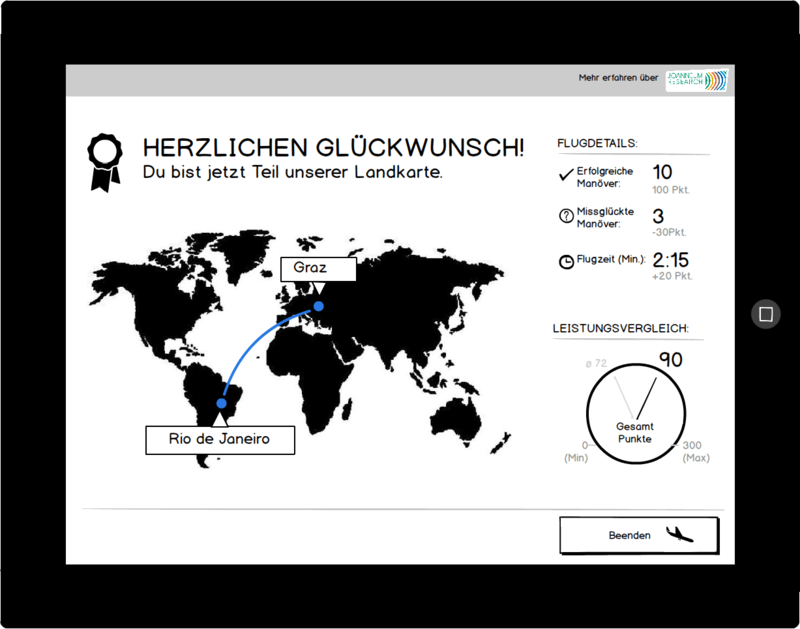 Every quiz (=flight) is visualized on the world map. 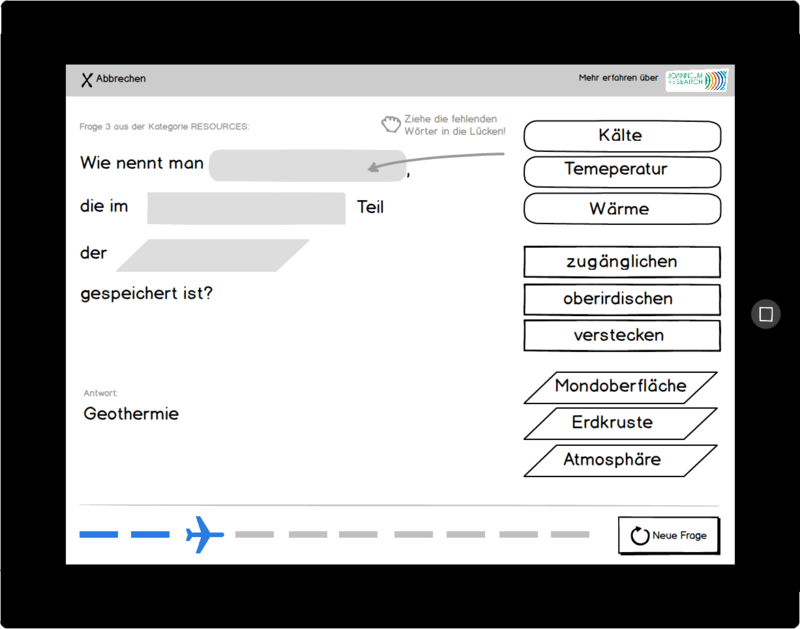 Every correct answer moves the players aircraft one step further towards Graz.